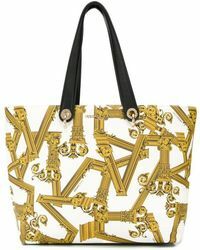 Founded in 1978 by Gianni Versace, Italian luxury brand Versace embodies glamour and confident sophistication. Today it is one of the world's leading international fashion houses and has produced some of the most memorable looks in fashion history. 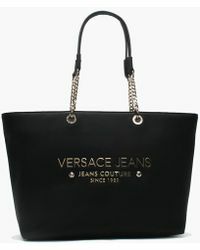 Versace Jeans is a diffusion line combining luxury with casualwear. 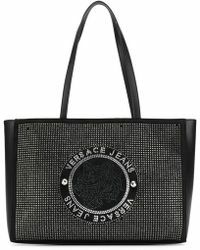 The Versace Jeans totes collection features a range of classically elegant bags in an array of designs. 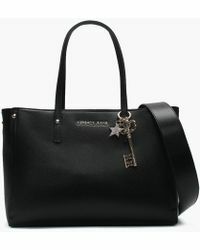 Carry your belongings in style with these handbags, boasting a selection of timeless shades.